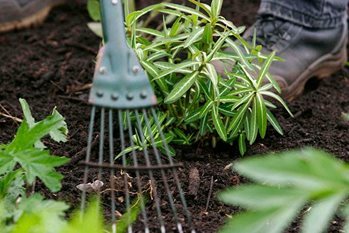 As climate change presents us with the challenge of gardening with less water, choosing plants to suit our growing conditions becomes paramount. With some conditioning of the soil and careful watering, there is a considerable range of plants that can tolerate dry conditions once they are established. Many drought tolerant plants have silver or grey-green leaves, their light leaf colour reflecting the harsh rays of the sun. Some have a coating of fine hairs on their leaves or stems, helping to trap moisture around the plant tissues. Below is a selection of plants with good drought-tolerant properties.